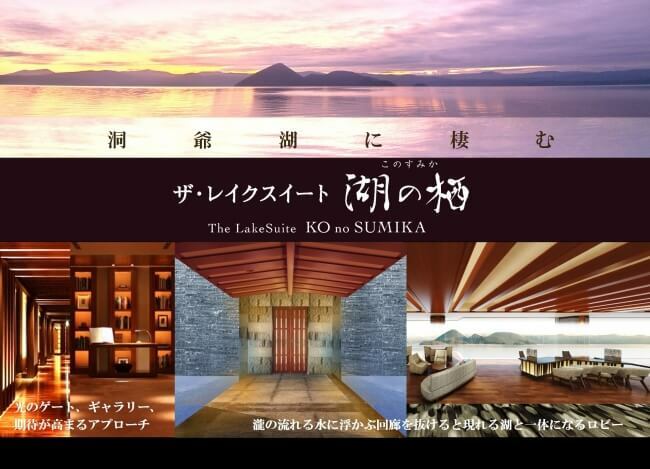 Toya Sun Palace Resort and Spa has announced that it will open an annex of the main site called The Lake Suite Ko No Sumika on August 1, 2019. This hotel offers the closest view of Lake Tōya without anything to get in the way of the breathtaking scenery. 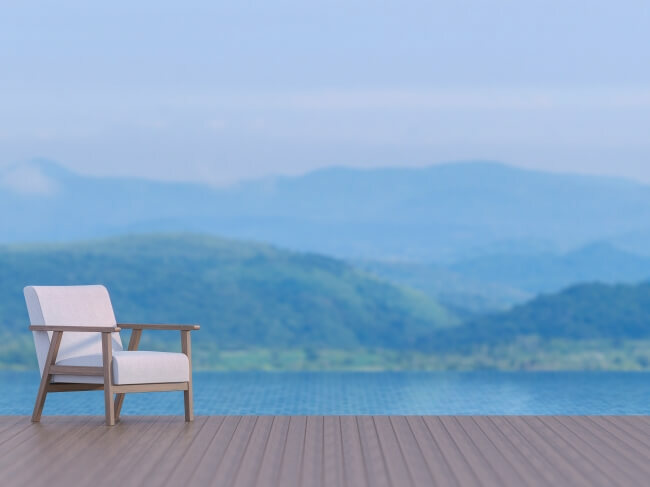 It offers a luxurious resort experience for adults that resonates with nature by taking full advantage of the vast and open surrounding environment and making it one with the facility. Enjoy the morning calm over the quiet lake as if time has stopped, basking in the sunlight and breathing in the fresh, crisp air. Feel at peace with the changing seasons as cherry blossoms decorate the spring, lush greenery spreads through summer, the red leaves reveal themselves in autumn and the snow falls in winter all while absorbing the tranquil sound of the brisk breeze. The Lake Suite is a top class hotel that offers the closest view of Lake Tōya than any other hotel site. Sitting right next to the lake and being at peace and one with nature will make you want to stay there forever. The “Sumika” in the facility’s name means “to live” while to live somewhere means that you must like that place. 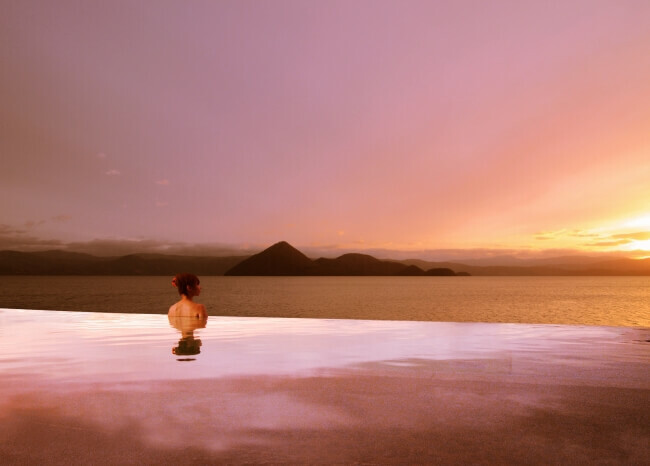 That’s the kind of experience The Lake Suite wants to offer: a place that you will always love and always want to be. Upon arriving, you are transported into another world as you pass through a hallway surrounded by water where you can hear the trickling of the flowing lake. You are then met with the hotel entrance where the visual effect of a flower basin fuses the hotel Lake Tōya as one. The hotel lobby incorporates the colour brown giving it a chic and stylish appearance that goes well with the outdoor scenery. The lobby interior has a soft “Japanese” aesthetic with warm lighting. The lounge is stocked with various drinks to enjoy while gazing across the lake. 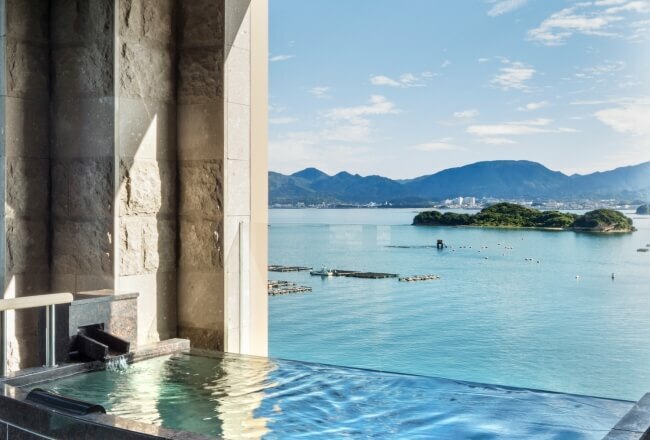 On the top floor of the hotel (floor 8) there is a large open-air bath that offers an unbroken, panoramic view of the lake. This bath is built like an infinity pool that makes it look like the bath connects directly to the lake. 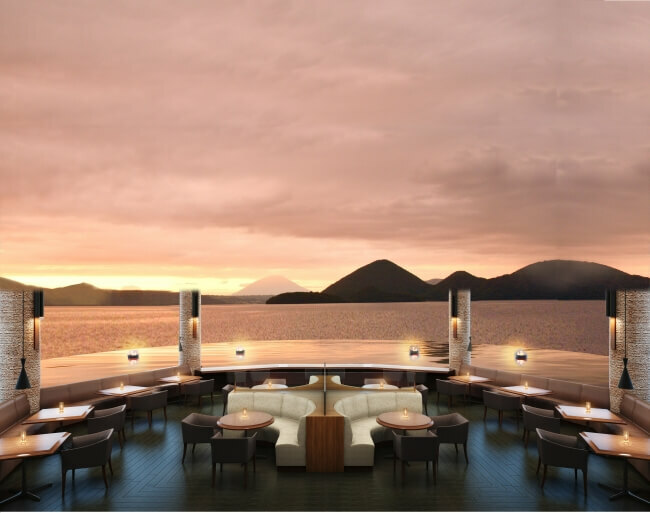 Guests can enjoy the sky reflecting from the water surface. At night in spring, you’ll also be able to soak in the stars with star gazing. There’s also a sauna and the bath has a jet function too. The hotel’s restaurant also boasts the closest view of Lake Tōya. If you’re looking for a premium and unforgettable stay in Japan then look no further.